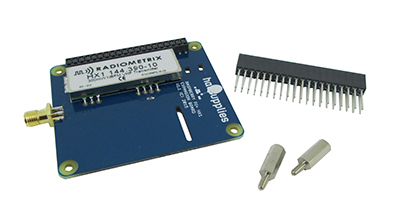 This board is a GPS receiver and radio transmitter designed for tracking high altitude balloon flights utilising a Raspberry Pi+. 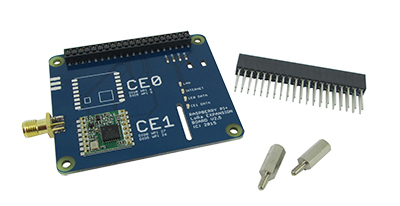 The board is designed for either the Raspberry Pi 2 A+ or B+ boards and is expandable with additional boards that can be stacked on top and give additional functionality such as APRS or LoRa(TM). RG174 Tail for making into an antenna see this article. Onboard 2.5A buck/boost regulator to provide power from an input voltage range from 2.8V to 15V. Optional APRS transmission with additional hardware. Optional LoRa transmissions with additional hardware.